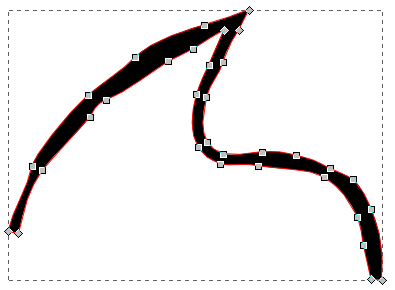 I would like to generate an average stroke from a given compound enclosed path, or fill, in Adobe Illustrator CC or Inkscape. Sorry I don't know the mathematical function name to achieve this. I've come upon a couple bizarre hacks involving Photoshop, but it stands to reason there is a simpler way to achieve this within a vector program. 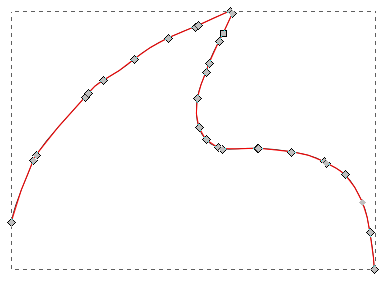 Unfortunately Illustrator's path averaging collapses my example into a single point, likely because it has both horizontal and vertical aspects. 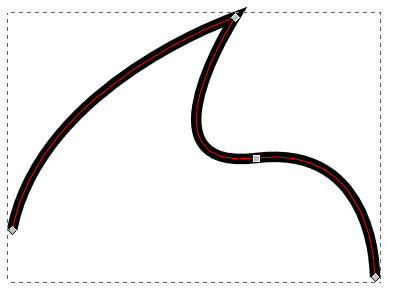 To set up the example, begin with a simple path having some substantial stroke width. 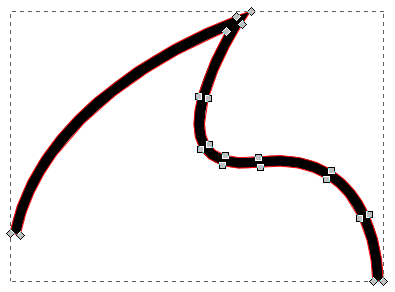 Choose "Path" > "Stroke to Path"
Mess with the nodes to create a more interesting example. Remove fill, and set a thin stroke. Delete the two endpoint segments. 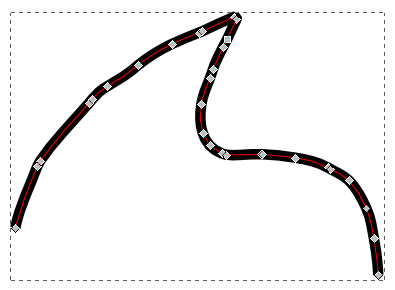 Then choose "Path" > "Break Apart"
Important: Select one of the resulting objects (either one) and choose "Path" > "Reverse". 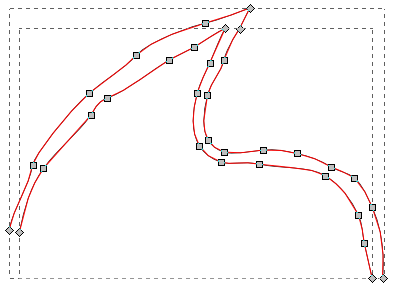 Select the two objects and choose "Extensions" > "Generate from path" > "Interpolate". (Make sure settings on the Interpolate extension are set as follows. 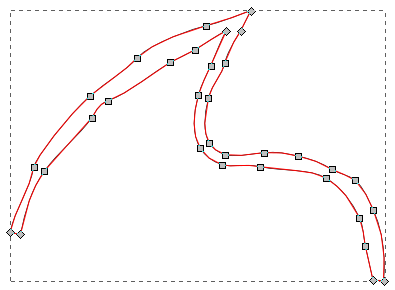 Delete the two original paths, leaving only the interpolated path. It will be a group. You can choose "Object" > "Ungroup" to remove the group container and just have a plain old path. Style with thickness to taste. From here, you could simplify or tweak as desired. Not the answer you're looking for? Browse other questions tagged adobe-illustrator vector inkscape stroke or ask your own question. Illustrator: how to bring fill in front of the stroke?